With global climate change, the agricultural light-temperature potential productivity in the agro-pastoral ecotone has increased. This offers a good opportunity to develop agriculture in the agro-pastoral ecotone. However, the agro-pastoral ecotone is also an ecologically fragile area in which land degradation challenges agricultural development. As population grows and the need for food increases, the land carrying capacity of the agro-pastoral ecotone becomes insufficient, and the human–land relationship is not harmonious. Such conditions have limited the agricultural and rural development in the ecotone. 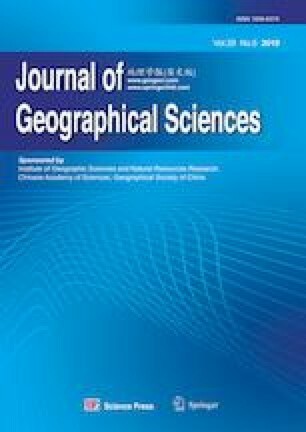 The paper demonstrates how land engineering may improve land quality and support agricultural development in the ecotone based on studies at a research station established in 2015 in Yulin, Shaanxi Province, China. The studies target three factors: soil improvement, crop selection, and field management. The results show that: (1) The highest yield of crops planted on improved land is close to or even higher than that achieved under previous crop growth conditions. For instance, the corn yields can exceed 25%. (2) The potatoes grown on the improved land yield the highest gross income, reaching 67,200 yuan/ha. By way of land engineering, input costs can be balanced in 3–5 years. (3) As a result of land engineering, some villages in Yulin City have realized sustainable agricultural and even rural development, and promotion of this model will support the sustainable development of agriculture in the agro-pastoral ecotone.